Everyone needs a break from time to time. Borne the Battle – and, more importantly, its host – decided to take a short break from production. It’s been a month since our last episode was published, but I was still recording interviews in that span of time. A couple of the interviews I did were with caregivers. With November being National Caregivers Month, and with this week being Thanksgiving, I decided to bring the podcast back to full form with two episodes featuring caregivers. Not only to spotlight their efforts, but to show our gratitude for the role they play in Veterans’ lives. First up is Liz Rotenberry. Liz joined me at VA Central Office after the Elizabeth Dole Foundation showed interest in collaborating on a podcast. I didn’t know much about Liz before we started the interview, but by the end of it I felt I had just recorded one of the more valuable interviews in the podcast’s two year history. 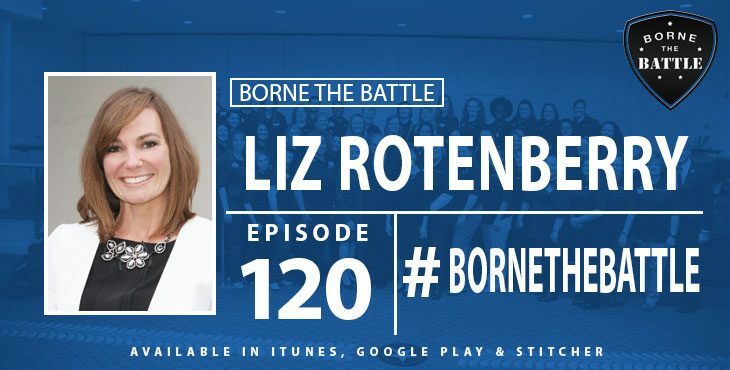 Liz and I talk about being a military spouse during her husband’s service and how she experienced transition when her husband separated from the military. That, plus plenty of insight on her role as a caregiver. The full transcript for episode 120 is available here.